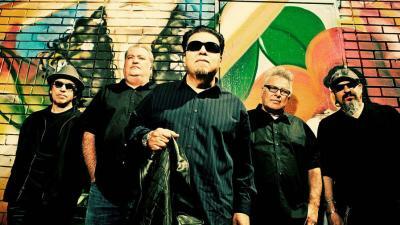 Mid-Atlantic Americana music festival, Bromberg&apos;s Big Noise, announces the full talent line-up including the festival&apos;s namesake David Bromberg & The Big Band, three-time Grammy-winning Los Lobos, and Big Noise veterans Railroad Earth, as headliners. Inspired by the "Americana Godfather" David Bromberg (multi-instrumentalist, singer-songwriter, producer, and local violin luthier), Big Noise returns to his adopted hometown of Wilmington, DE on June 8th and 9th for the second consecutive year at the Tubman Garret Park on Wilmington&apos;s Riverfront. Big Noise will kickoff on Friday, June 8th at 6:30 p.m. with a jazzy, New Orleans style party featuring performances by NOLA&apos;s own The Dirty Dozen Brass Band and Ivan Neville&apos;s Dumpstaphunk from 7-10 p.m.
On Saturday, June 9th, performances will take place from 12-10 p.m. including Mexican Folk act David Wax Museum, Brooklyn&apos;s The National Reserve, Levon Helm&apos;s daughter Amy Helm, and soul singer-songwriter Bettye Lavette, before headliners Railroad Earth, Los Lobos, and of course, David Bromberg & The Big Band. In addition to the music, festival organizers hand-select some of the best food trucks with assistance from Wilmington’s Rolling Revolution and feature an eclectic variety of local and national artisan merchants. Tickets are on sale now, click here to purchase. And, start making plans now to stay the weekend in Wilmington with our FREE visitors guide. For more information, please visit www.bignoisefestival.com and follow on Facebook, Instagram, and Twitter.